One of Spring 2013's biggest trends--the railroad stripe--is already in bloom, brandishing these new cute cropped jeans from Club Monaco. (You might recall how designers from Altuzarra to Rag & Bone to Suno played up these pinstripes in their collections.) 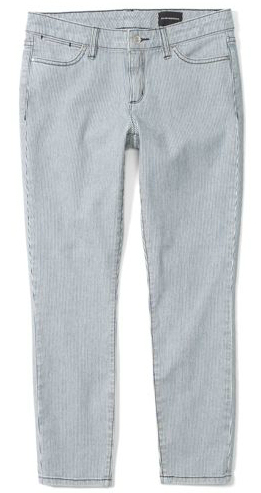 The stripes are subtle enough that these jeans are just as wearable as your solid blues.